The health of your teeth and gums directly affects your overall wellness, making routine oral hygiene visits at the dentist a vital component of a healthy lifestyle. Keeping your gums healthy may actually reduce your risk of developing certain medical conditions, including heart disease, dementia, stroke, and cancer. 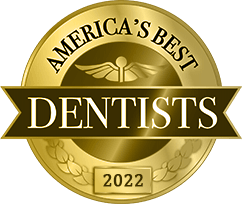 At Smile Creations in Massapequa Park, NY, Dr. Allan S. Mohr helps his patients maintain exceptional oral health with a variety of preventive and periodontal care solutions, including dental prophylaxis and deep cleaning. Dental prophylaxis – commonly called a “prophy” – is a treatment that involves polishing the teeth to control bacteria on the teeth and just beneath the gum line. 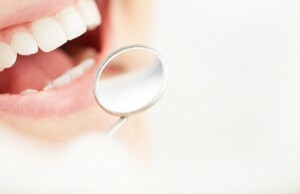 A prophy is typically performed twice per year, or every six months, to maintain healthy gums and teeth. This type of visit doesn’t take long (typically not more than an hour), and it is often completely covered by your dental insurance. Even patients who don’t have dental benefits can receive this kind of preventive care for very little out of pocket. A deep cleaning is performed when the level of bacteria and plaque beneath the gum line is higher than normal and causing irritation of the gums. Left untreated, this inflammation and infection can lead to the loss of bone tissue and teeth over time. Fortunately, a deep cleaning can essentially halt the progression of periodontal disease before it advances to this level. 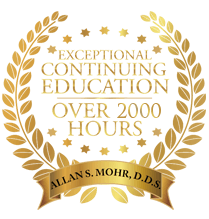 During this type of visit, Dr. Mohr effectively removes the cause of the infection itself, the bacteria that accumulate on the teeth beneath the gums. Additional therapies may be used to decrease sensitivity and to promote healing, including a diode soft tissue laser and antibiotic medications. Deep cleaning visits are typically scheduled more frequently – approximately every three months – in order to maintain periodontal health. The start of 2015 is just around the corner, and there’s never been a better time to make a New Year’s resolution that offers lifelong benefits. 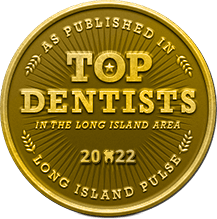 Contact us today to schedule your next oral hygiene visit to Smile Creations in Massapequa Park, NY. 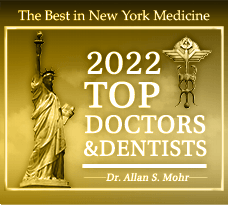 Dr. Mohr and his experienced, caring staff genuinely look forward to helping you achieve and maintain healthy, beautiful gums and teeth for life. Our state-of-the-art office warmly welcomes families from throughout Long Island, Seaford, Wantagh, Farmingdale, Lindenhurst, and more.